The requirement was to provide a turnkey solution with tournament, client, and data management tools for a gaming software manufacturer, which catered to the Casino and Online Skill Game industry needs. Our work included the development of websites and games, such as O2 Speculator™, Fruit Salad, Dice, and Risky Business. We developed O2 Speculator™, Fractional Payout – an online tournament game, which re-creates the financial trading environment without exposure to the real markets. The player acts as a short term trader of oxygen, which turns out to be a valuable commodity due to global warming and climate changes. Fruit Salad is a slot machine type of game. The gambler sets the bets to the special cell of the betting field, launches the rotation device and can either win or just enjoy the game. 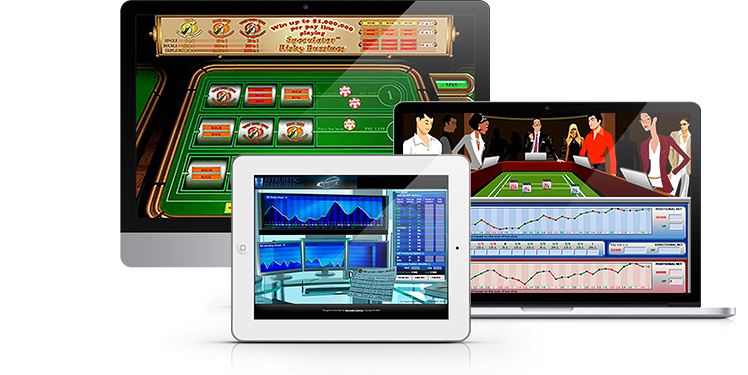 The game features active and passive wagering modes. The Dice game is a single player casino table game. The game allows a player to make three kinds of bets: directional, positional and precision. All bets can be done simultaneously. The Risky Business game features multiple wagering games on a single slot machine pay line, combines a passive and active wagering game in one apparatus, with a risk-adjusted bonus payout structure.